In delivering the Supreme Court of Canada's judgment in the Roger William case, Chief Justice Beverley McLachlin shifted the Court's focus away from its earlier statements in Haida Nation assuring the Province that the right of Aboriginal groups to be consulted about projects potentially affecting their claimed Aboriginal title lands did not give them a veto over such projects and in the direction of the international law standard of consulting to obtain their free, prior and informed consent. She even went so far as to remark on the advisability - for the Province, Canada, and even project proponents - of "obtaining the consent of the interested Aboriginal group" where Aboriginal title is potentially at stake. 92 Once title is established, it may be necessary for the Crown to reassess prior conduct in light of the new reality in order to faithfully discharge its fiduciary duty to the title-holding group going forward. For example, if the Crown begins a project without consent prior to Aboriginal title being established, it may be required to cancel the project upon establishment of the title if continuation of the project would be unjustifiably infringing. Similarly, if legislation was validly enacted before title was established, such legislation may be rendered inapplicable going forward to the extent that it unjustifiably infringes Aboriginal title. 97 I add this. Governments and individuals proposing to use or exploit land, whether before or after a declaration of Aboriginal title, can avoid a charge of infringement or failure to adequately consult by obtaining the consent of the interested Aboriginal group. Although of less moment than the decision to grant the Tsilhqot'in a declaration of Aboriginal title, the Chief Justice's and hence the Court's openness to criticism and persuasion to move towards the international law standard of free, prior and informed consent should not go unacknowledged or unappreciated. For my criticism of the position originally staked out by the Chief Justice in Haida Nation, see my earlier post, Consultation and Free, Prior, and Informed Consent. Whatever our reservations about the capacity of the common law to do justice to Aboriginal peoples, we should not lay blame on the common law for the British Columbia Court of Appeal's decision in the Roger William case. Although the Court of Appeal invoked the common law in advancing an approach to Aboriginal title that every First Nation in Canada subsequently found abhorrent, in reality it relied on considerations extrinsic to the common law to justify its desired conclusions. We won't know until later this morning, when the Supreme Court of Canada releases its reasons for decision in the William case, whether the Court has seen through the Court of Appeal's talk of the common law. At stake is not only whether Aboriginal title has any remaining value in the struggle for the reconciliation of Aboriginal and non-Aboriginal peoples in Canada but also whether the reconciliation achieved may be genuine and just. Missed by most of those who had been keeping track of the Enbridge Northern Gateway Joint Review Panel process was the Panel’s unstated assumption that the opposition of those First Nations whose distinctive ways of life, health, social institutions, and economies remain intertwined with their marine environments, and who thus see Enbridge’s project, especially its introduction of bitumen tankers into their waters, as a serious threat to their futures, is unreasonable. The Panel’s unstated correlative was that because, in its final estimation, Enbridge had “the science” on its side, its position was the benchmark of reasonableness. But what is reasonable? I don’t pose the question as a skeptic, only to make a few common sense observations and draw some direct conclusions. Except when they journey into the further reaches of their disciplines, mathematicians and physicists don’t often pose the question, What is reasonable? They – and we – are well past the stage, if it ever existed, where we wonder whether it is reasonable to say that “four” is the result of adding two to two. Similarly, composers don’t tend to ask whether it is reasonable (or not) to use a diminished chord in a composition. The same holds for painters and other artists working with their own media. The question is most suited to areas of practical concern; politics, law, and, most fundamentally, our everyday ethical/moral deliberations. There is a reason for this. While science may go some way in telling us the probabilities of minor, middling and major oil tanker spills in British Columbia's coastal waters, it has nothing determinative to offer on whether we should or should not take the risk. Science can't tell us - and I'm not implying that conscientious scientists would tell us - that we should accept the risk of serious adverse effects on our coastal marine environment, and the communities who depend on it, where it more likely than not won't materialize. (Note that this is a legal not a scientific standard of proof.) Science can't even tell us whether we should accept such risk where the probabilities are lower. Answers to these questions come from the sphere of practical reason; ethics, politics, law, etc. Obviously, we should and do rely on science in our efforts to get to the truth about things like the probabilities of oil tanker spills. But to believe that science can tell us whether the risks are reasonable and thus worth taking is puerile, at best. In such circumstances, the calming invocation of the phrase "sound science", in an effort to claim the mantel of reasonableness in the public's imagination, is misdirection. As the Enbridge Northern Gateway Project Panel would have it, “the science” settled what’s reasonable. 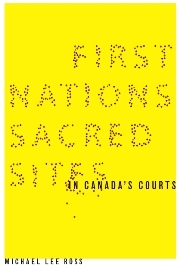 In consequence, it tacitly held that those coastal (and other) First Nations who looked at the project, deliberated about it in terms of their own political, legal and ethical traditions, and concluded that it poses an existential and therefore unacceptable threat to their societies and cultures were unreasonable. It was on this basis, fundamentally, that the Panel downplayed and thus dismissed the evidence that these First Nations provided on not only the likelihood but also the significance of the adverse effects that Enbridge’s project would visit upon them. There are several choice but just words one might use to describe what the Panel did. I’ll leave mine unstated. A recent question for debate is whether Prime Minister Stephen Harper and his government have overstepped their authority in their promotion of Enbridge’s proposed Northern Gateway Pipeline while the project is before the Joint Review Panel. The case for saying they have is debatable. Although reasonable people with reasonable arguments say they have (here), other reasonable people with reasonable arguments say they haven’t (here). But there is a similar question which should be raised and discussed, namely, whether the Prime Minister and his government have, in promoting Enbridge’s pipeline, offended the honour of the Crown with respect to the constitutional duties owed to Aboriginal peoples, who would have no choice but to live with risks of Enbridge’s pipeline and the associated oil tankers plying the waters of Douglas Channel and beyond and, as the risks materialize, to endure them as best they can. In the process of coming to an ultimate decision on whether to approve Enbridge’s project, the federal government has a duty to consult each of the First Nations potentially adversely affected by it. The government’s duty includes a duty to consult in good faith, which in turn includes a duty to proceed with an open mind, a mind not closed to the possibility that the honour of the Crown and, by implication, Canada’s constitution may require it to reject Enbridge’s proposal. Hence the question: By their promotion of Enbridge’s project, have the Prime Minister and his government offended the honour of the Crown vis-à-vis Aboriginal peoples? From a legal perspective, the case for saying they have is far less debatable than the case for saying they have overstepped their authority in regard to the Joint Review Panel process. On 6 September 2011, Peru’s President, Ollanta Humala, signed into law landmark legislation on the right of his country’s indigenous peoples to consultation (Ley del derecho a la consulta previa a los pueblos indígenas u originarios, reconocido en el convenio 169 de la Organización Internacional del Trabajo (OIT)). The objective of the consultation is to reach agreement or consent between the State and the indigenous or native peoples regarding legislative or administrative measures that directly affect them, through intercultural dialogue that guarantees their inclusion in the State's decision-making processes and the adoption of measures respectful of their collective rights. The final decision on the approval of the legislative or administrative measure belongs to the competent state agency. … If no agreement is reached, it is the responsibility of the state agencies to take all the measures that are then necessary to guarantee the collective rights of the indigenous or native peoples. Some early commentators have read Article 15 as contradicting Article 3 and so either have gone on to assert that Article 15 runs afoul of international law on the right of indigenous peoples to free, prior, and informed consent and then suggest that it should be downplayed in favour of Article 3 or - wishing to avoid drawing attention to it - have noted Article 3 without mentioning Article 15. Likely unawares, these commentators have inflated the international legal principle of free, prior, and informed consent into an indigenous veto or its like and thus have fallen into a trap similar to one fallen into earlier by the Chief Justice of Canada, albeit to opposite effect. As I note in my previous post on Consultation and Free, Prior, and Informed Consent, drawing from the analysis of James Anaya, United Nations Special Rapporteur on the Situation of Human Rights and Fundamental Freedoms of Indigenous People, there is no contradiction between saying, on the one hand, that the state should seek and even in some cases must obtain the free, prior, and informed consent of indigenous peoples before deciding to go ahead with plans and projects inimical to their rights and, on the other, that the decision is the state’s to make, even if sometimes it must, normatively speaking, result in a “No”. La finalidad de la consulta es alcanzar un acuerdo o consentimiento entre el Estado y los pueblos indígenas u originarios respecto a la medida legislativa o administrativa que les afecten directamente, a través de un diálogo intercultural que garantice su inclusión en los procesos de toma de decisión del Estado y la adopción de medidas respetuosas de sus derechos colectivos. La decisión final sobre la aprobación de la medida legislativa o administrativa corresponde a la entidad estatal competente. Dicha decisión debe estar debidamente motivada e implica una evaluación de los puntos de vista, sugerencias y recomendaciones planteados por los pueblos indígenas u originarios durante el proceso de diálogo, así como el análisis de las consecuencias que la adopción de una determinada medida tendría respecto a sus derechos colectivos reconocidos constitucionalmente y en los tratados ratificados por el Estado peruano. El acuerdo entre el Estado y los pueblos indígenas u originarios, como resultado del proceso de consulta, es de carácter obligatorio para ambas partes. En caso no se alcance un acuerdo, corresponde a las entidades estatales adoptar todas las medidas que resulten necesarias para garantizar los derechos colectivos de los pueblos indígenas u originarios. Los acuerdos del resultado del proceso de consulta son exigibles en sede administrativa y judicial. There are three things I want to note about this passage here. First, Aboriginal title encompasses the right to exclusive use and occupation of the land (para. 166). It also encompasses the right to choose to what to uses the land can be put (para. 166). The latter encompassed right flows from the first. Thus, Aboriginal title encompasses the right to exclusively choose whether and how to use the land. Second, the right to consultation in the face of state infringement of title, and along with it the principle that in certain circumstances the state may not proceed without indigenous consent, are aimed at avoiding encroaching unnecessarily not only on land subject to Aboriginal title but also on the right to exclusively decide whether and how the land is to be used. Third, Justice McLachlin (as she then was), who had been on the Supreme Court of Canada for a decade when the reasons for decision in Delgamuukw were released, there stated - without elaborating on - her concurrence with Chief Justice Lamer. On 7 January 2000, she was sworn in as Chief Justice of the Supreme Court of Canada.